Trieste, 16 September 2015. 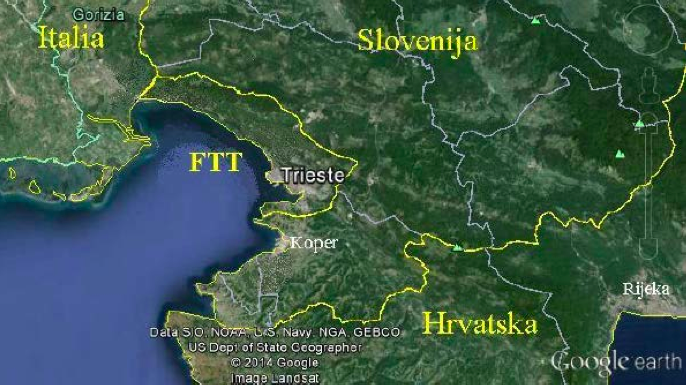 – The Free Trieste Movement has taken note that at the end of the period of notice of 15 September 2015 the Italian Government and its delegated Commissar did not fulfil the «Formal invitation to comply within 90 days to the obligations established under International and Italian law in regard to the Free Territory of Trieste, its citizens and residents, its enterprises and its institutions» that the organization has notified to them on 15 June 2015. Free Trieste observes that by this mean it has obtained from the Italian Government an action of formal resignation from its mandate of temporary civil administration over the Free Territory of Trieste and over the international Free Port, which was entrusted to it by virtue of the Memorandum of Understanding of London of 1954 on behalf of the United Nations Security Council. The Free Trieste Movement declares that it has therefore promptly activated «the needed legal remedies under international and domestic law» prepared for this possibility, it informs that they are new and decisive, and it announced that it is making them public during a press conference on Monday, 21 September, at 11AM, in the conference room of the its head office, piazza della Borsa 7, first floor.